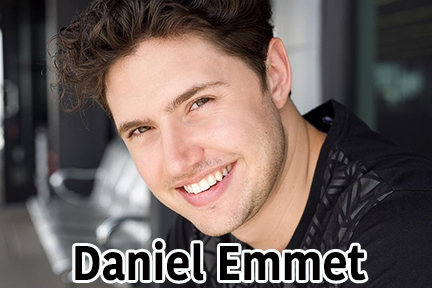 Daniel Emmet is a powerhouse multilingual vocalist, with a range of musical expression that crosses the genres of Pop and Opera in a most remarkable and authentic way. From Rochester, NY, Daniel’s dream of performing became a passion when he moved to Las Vegas at age 15 and began taking voice lessons. It was then that he discovered how powerful the universal language of music can be! Daniel went on to earn an undergraduate degree in vocal performance and since then, this 25 year old has been eager to connect with audiences around the nation and the world, sharing his deep love affair with music. No stranger to commanding stages large and small, Daniel has performed across the country and internationally at venues such as Dolby Theatre, Staples Center, Caesars Palace, T-Mobile Arena, Angel Stadium, and Palais Todesco in Vienna. Most recently, Daniel appeared as a “finalist” on NBC’s hit summer show “America’s Got Talent”.